Are your tomato bushes setting fruit? 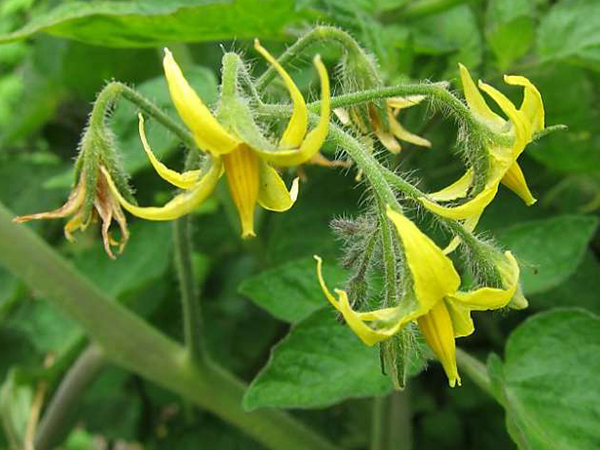 If your tomato bushes are flowering and setting plenty of fruit, take a bow. Early reports indicate fruit set is variable with tears of joy for some (healthy bushes with plenty of fruit) but tears for others (plenty of flowers but few fruits). While watering correctly, not applying too much fertiliser and regular disease control is important, early fruit set is largely determined by temperatures. Night time temperatures below 13°C will result in poor pollination and so will day temperatures above 32°C. For the record: Kent Town recorded 16 mornings below 30°C during November, with 10 of these during the past two weeks. Day temperatures are not yet a problem with only five November days above 32°C. The secret to successful gardening during summer is to keep the roots of your plants moist and cool. Collectively, they determine how well your plants grow. However, when temperatures spike and heatwaves occur, all three can be used to protect your garden from the damaging effects of heat stress. Too much water, particularly during hot weather, is just as damaging as too little, as excess moisture fills the air spaces between the soil particles. In this case roots that are not cooked will probably drown. The combination of excess moisture and warm soil is also conducive to the development of root destroying fungal diseases. Rather than water on a regular basis, i.e. once a day or with the lawn, once a week, learn to use the finger and thumb smear test. Take a pinch of soil from 2cm below the surface of a container and rub it between your fingers and thumb. If the soil leaves a visible smear on your finger, there is still moisture close to the surface and this means plenty of moisture at depth. Don't water. Wait until the smear test indicates the soil is completely dry, then and only then is it time to water. Irrigation advisor Darren Ferber suggests that if you have a micro irrigation system, you will probably have to make some adjustments to cope with the heat. Darren points out micro irrigation systems are designed to apply low volumes of water and to work effectively you need to apply the water over longer periods of time. Prior to the onset of hot weather apply an extended watering to deliver water deeper into the soil profile. This will help your plants deal with oncoming heat stress. Increase your watering time significantly. It is not uncommon to double your watering time in these extreme heat conditions. Increase your watering frequency. You could be watering once per day or every couple of days. In these conditions it is a good idea to reduce plant stress by watering more than once per day. Consider doing some hand watering (spraying) for your more sensitive plants during the heat to reduce the chances of foliage burn. Look and monitor your plants for signs of leaf stress and adjust your watering to suit whilst these conditions persist. Keep cool. 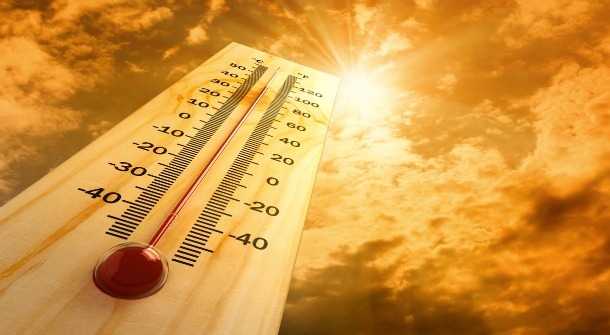 Keep an eye on the seven-day forecast and, if possible, time the planting of new trees, shrubs and seedlings to coincide with a 3 to 5 day spell of below 30oC temperatures. One of the easiest ways to prevent radiant heat damage is to place one container inside another. Double potting can reduce root ball temperatures by 10 to 15°C – more than enough to keep your plants thriving even in heatwave conditions. In many gardens small shrubs are often planted directly into attractive ceramic pots. However, it is far more effective to leave a plant in its plastic pot and place this inside a larger ceramic container. If the thought of picking cherries direct from your own home garden trees appeals, then now is the time to start planning. LAPINS: Large red fruit with dark red skin and dark red luscious juicy fruit. Ripens late December, high resistance to cracking, self fertile. STELLA: A reliable home garden cherry. The fruit is firm with good sweet flavour. Ripens mid December. High resistance to cracking. Self fertile. MORELLO: This is a great variety for making pies, cooking, baking or making wine. Ripens late December. Self fertile. 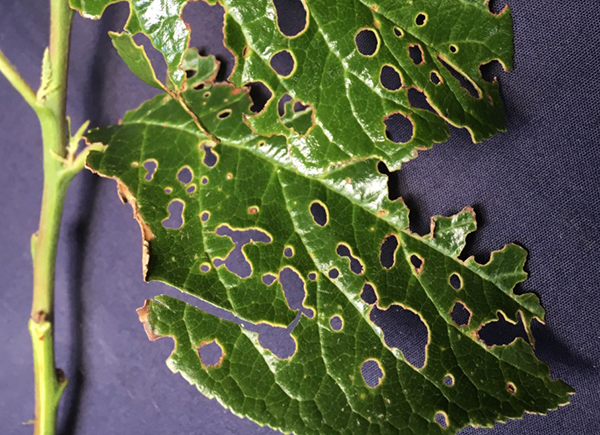 If you are mystified by numerous roundish holes suddenly appearing on the leaves of your plum or apricots tree, don’t blame caterpillars or weevils. The problem is caused by “shot hole” fungus. However, the infection started early in spring – at bud burst – when tiny spores entered the flower buds just as they were beginning to open. In some years the fungus does not cause any physical damage. However, late spring rains (such as those just experienced) will activate the fungus resulting in small roundish “shot holes” in the leaves. Make a note to spraying your trees thoroughly with a fungicide such as liquid copper just as the leaves are starting to fall in autumn. Follow this with a similar spray at bud burst next spring. Last week's item on the Native BnB Project contained a broken link to the Natural Resources Adelaide and Mt Lofty Range web page featuring more information on this worthy volunteer effort. 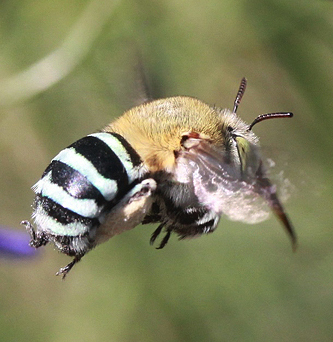 The project partners with community volunteers to build native bee hotels (BnBs) and plant native species to provide food for bees along the River Torrens Linear Park. As gardens become smaller and surrounding houses taller, the likelihood of shade becoming a problem in parts of the garden is now very real. In this week’s lawn blog turf advisor Stefan Palm considers some of the problems related to trying to grow a lawn in the shade. 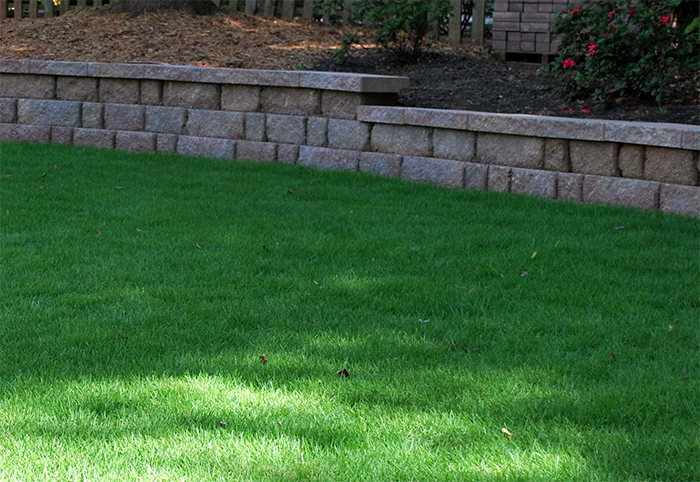 He also has some practical advice on choosing the right lawn for shady gardens. Your comments on this advice would be appreciated. You can leave comments on the blog site. Quick growing, space saving vegetables such as non-hearting lettuce, baby spinach and rocket have been available for some time. The idea is to harvest the larger outside leaves regularly. A small number of plants should provide a constant supply of salad leaves for at least six to 10 weeks. Mini oakleaf – green or red, soft, compact. Many of the leafy Asian vegetables have delightful spicy flavours that blend well in a mixed leaf salad. Mibuna – green and red, long thin leaves in clusters, slight mustard flavour. Mustard – red, purple tinged leaves, very strong flavour. Tatsoi – green, looks like mini spinach leaves with pleasant spicy flavour. There is still plenty of time to carry out a number of practical heat prevention measures. 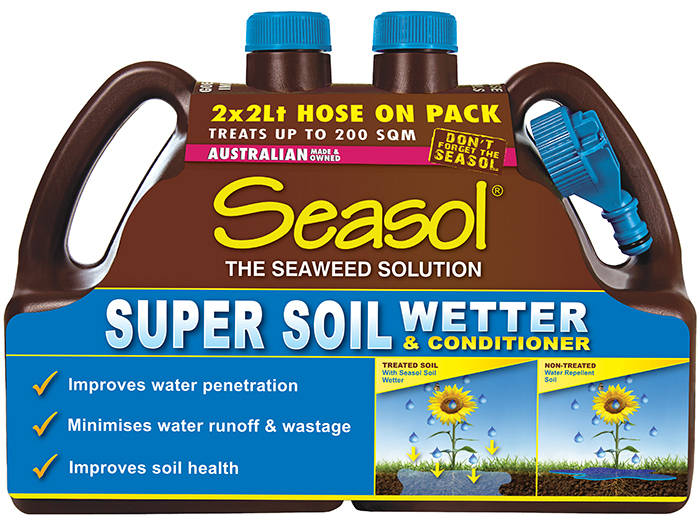 If your soil is misbehaving and repelling water, give the whole garden a dose of Seasol Super Soil Wetter and Conditioner. This is a wetting agent, soil conditioner and plant health treatment all in one. It not only helps overcome water repellence, it allows the water to move through the plants root zone where it is needed. At the same time it improves soil health and the health of your garden. A 2 to 3 cm layer of mulch will conserve moisture and suppress weeds. It will also help to stop the top lay of soil drying out. When watering the garden, including the lawn, you will find a good soaking less often is more effective than a light daily sprinkle. Deeper watering encourages plant roots to grow further into the soil and in turn this helps improve the soils structure. Simply mix 50 mL of Seasol Super Soil Wetter & Conditioner with 9 litres of water and apply it every 3 to 6 months. For extremely water repellent soil, mix 100 mL of Seasol Super Soil Wetter & Conditioner with 9 litres of water every 2 weeks until the soil has improved. Just be sure to wash it off the foliage after you apply it. Nut grass grows well in hot weather but it is easy to control with a systemic weedicide containing glyphosate. Wait until the plants are mature and water them well a few days before spraying. Spraying re-growth may be necessary. Individual weeds can be wiped or painted with neat chemical. In the vegetable garden, green caterpillars which are the juvenile stage of the cabbage white butterfly are often attracted to the outer leaves of broccoli, cabbage and other brassicas. Removing the outer leaves before they move onto the sections of the plant you are likely to eat is highly recommended. Predators – Small birds are often effective in reducing numbers. Earwigs, spiders and beetles are effective in eating caterpillar eggs before they hatch. Soft options – Spraying with a non-toxic bacterium such as Dipel or Spinosad (Success) or with a horticultural soap (Natrasoap) will reduce their activity – but repeat spraying may be required. A spring/summer garden which comes to life with flowers, foliage plants and grasses all taking centre stage and creating a vibrant display of colour and interesting foliage. A small cottage garden crammed with roses, perennials, bulbs, vegetables and a surprising number of trees. Friends of the Botanic Gardens of Adelaide, Mt. Lofty Botanic Garden nursery (follow the signs from Lampert Road). 10 am to 2 pm.